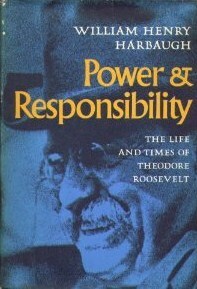 “Power and Responsibility: The Life and Times of Theodore Roosevelt” is William Harbaugh’s 1961 biography of the twenty-sixth president. For at least three decades it was considered the single best biography of Roosevelt, and it remains a favorite of many historians. Harbaugh was an avid scholar of TR and a professor for several decades. He died in 2005 at the age of eight-five. The reason for this biography’s sterling reputation is quickly clear. It is sober, thoughtful, penetrating and often quite interesting. And while it serves to rehabilitate TR’s legacy (which was mixed in the decades after his death) contemporary readers will find it uniquely balanced in its coverage. Enhancing its early sense of balance, Harbaugh is rarely shy about noting the perspectives of earlier biographers – including Henry Pringle (who was notoriously critical of TR) and John Blum (who authored a brief but exquisitely insightful study of Roosevelt). These references sometimes underscore a point Harbaugh is making, but equally often serve to highlight a difference in opinion. Among Harbaugh’s key strengths is his ability to observe, analyze and astutely describe characters to the reader. Not only is Roosevelt himself insightfully examined, but key figures of his era are also incredibly well-conveyed. Almost unique among biographers, Harbaugh is able to perfectly capture a person’s essence in a few decisively penetrating sentences – giving the reader a sense he could well be a former FBI profiler or forensic psychologist. While most of the book was praiseworthy in one way or another, the best chapters were those on the coal strike of 1902, Roosevelt’s perspective on foreign affairs and diplomacy and his efforts to initiate construction of the Panama Canal. But while comprehensive in scope, much of Roosevelt’s life is covered too quickly – or hardly covered at all. Theodore’s interesting and formative early years are reviewed so expeditiously that he is already a New York State Assemblyman by the book’s twenty-fourth page. And the next decade-plus of his life (including his time in the Dakotas, as a Civil Service Commissioner and as a NYC Police Commissioner) is covered with only slightly less efficiency. Consequently, the reader also misses much of his early adulthood – a time when his character was evolving, and maturing, rapidly. Other fascinating periods of Roosevelt’s life also receive just brief examination: his campaign for mayor of New York, the circumstances surrounding his second marriage, his post-presidential African safari and his seminal South American adventure. Most critically, there is never much focus on his family or personal relationships. But Harbaugh does not set out to provide a dramatic, day-to-day account of every element of Roosevelt’s life; that is left to future biographers. Instead, he is focused on providing a careful, serious and thoughtful review of the most important aspects of TR’s public career. There is, to be sure, an intriguing mix of drama and suspense in this biography – but principally in the sphere of politics and not in Roosevelt’s personal life. Overall, William Harbaugh’s biography of Theodore Roosevelt is an excellent early examination of this fascinating president. It covers the most important elements of his career with great skill and care but moves quickly past the periods which provide the most texture and the richest hues. For most readers, Harbaugh’s biography will make a better second biography of Roosevelt than first – but it is abundantly clear why this was the standard TR biography for decades. I wasn’t overly thrilled with Power and Responsibility. I don’t have a ton of spare time so I didn’t want to take on the Edmund Morris trilogy. Teddy Roosevelt is such an exciting and adventurous iconic man and I just didn’t get that image while reading this. Although very detailed on policy and his Presidency it seemingly glossed over his trip to the west and the Rough Riders. While still a very informative read on the Presidency of TR, I was just hoping for more details on his adventures. I just ordered Colonel Roosevelt to hopefully fill me in on the details of his adventures in Africa and Brazil while still covering his quest for reelection. Also great site, I can’t wait until you finish the Presidents and get into other historically prominent figures. Thanks. Sorry you didn’t enjoy “Power and Responsibility” as much as I did, but if you ever find the time to read the Morris trilogy I suspect you’ll really enjoy it. Much of my fascination with TR is now informed by everything I’ve read of him (which was more than a few books, as you have discovered). 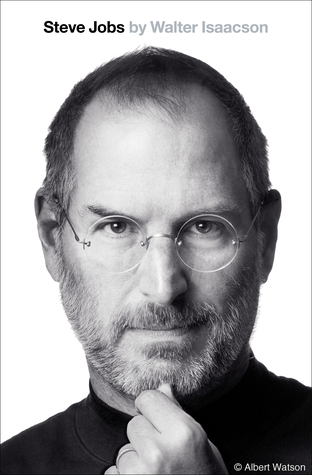 So I don’t think any single book – or even series – paints an entirely satisfactory picture of him. To really get the full portrait of the man I think you would have to read, at a minimum, Morris, Harbaugh and Millard. Together those probably do the best to complete the picture.